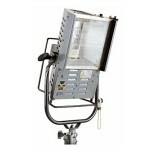 RRI M-Series daylight HMI lamps feature the unique inovative MAX reflector, maximizing the light output. The MAX Technology enables lens-less, focusable lamp heads, providing maximum light output.The M-series produce a remarkably even light field and a crisp, clear shadow. 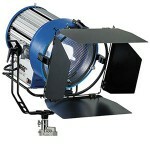 MI PARs are the workhorses of location lighting whenever punch or bounce light is required on set. A wide range of converter (spread) lenses ensures maximum beam control in all situations. MI Fresnel offers great structural strength and weather resistance. 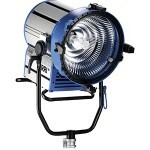 Together with ARRI flicker-free Electronic Ballasts, this rugged HMI Fresnel is ideal for all types of location lighting. MI Open Face is a multipurpose daylight fixture offering a 90 degree beam spread that can operate in any position. The Open Face HMI provides an extremely wide lighting beam, wider than any other HMI, with an homogeneous field and high lighting efficiency. 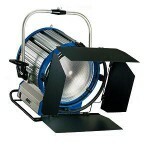 MI Soft Lights offer a soft, smooth field that provides a perfect fill light. 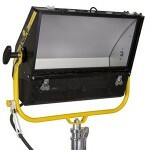 The HMI soft lights are offered in two profiles. The shallow profile is perfect for studios or location applications, while the larger profile allows for an even light distribution over a larger area and an effecient output. 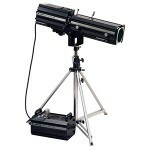 MI Follow Spot 1200w throws a strong narrow hard daylight from 6° to 11.5° to long distances.